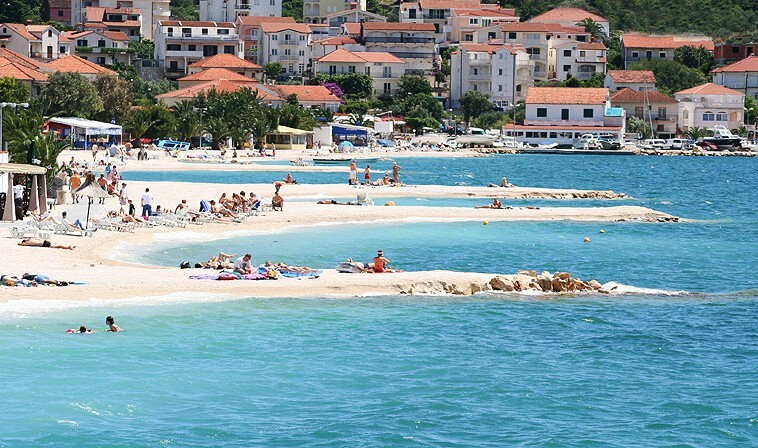 One of the most beautiful beaches is in Okrug Gornji on the east side of Island of Ciovo, it is more than 2km long pebble beach called Okrug Copacabana. 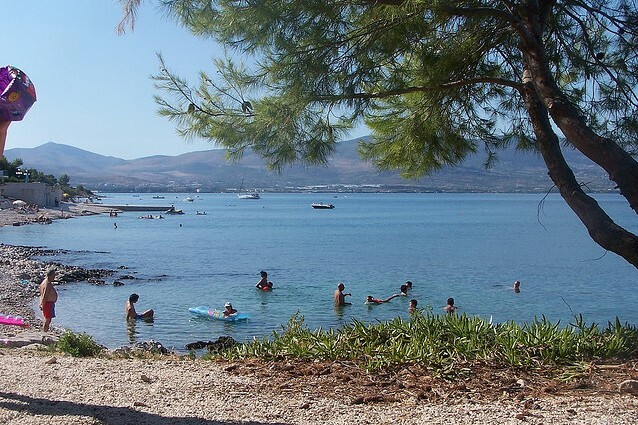 Here, you can rent Jet Ski, equipment for parasailing, windsurfing et. Of course there is a reach gastronomical offer there. 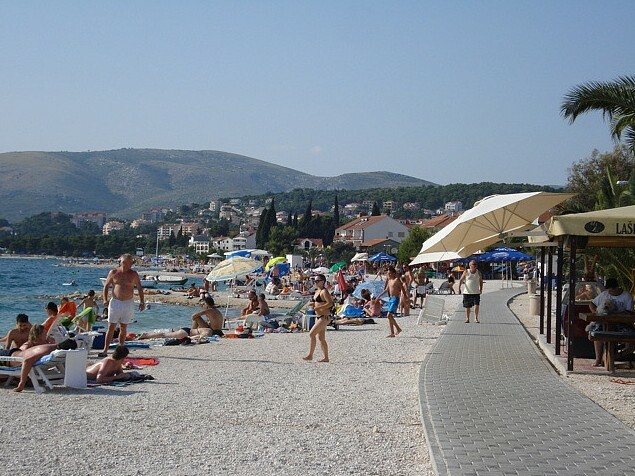 The beach "Kava" is the biggest beach in Slatine. 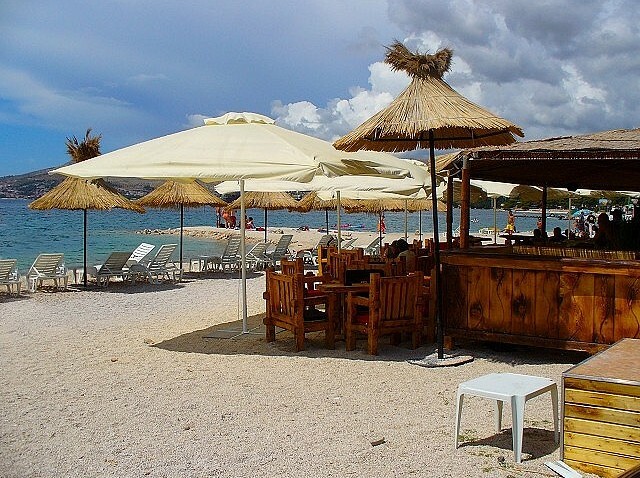 There is a caffe bar there and fast food offer. 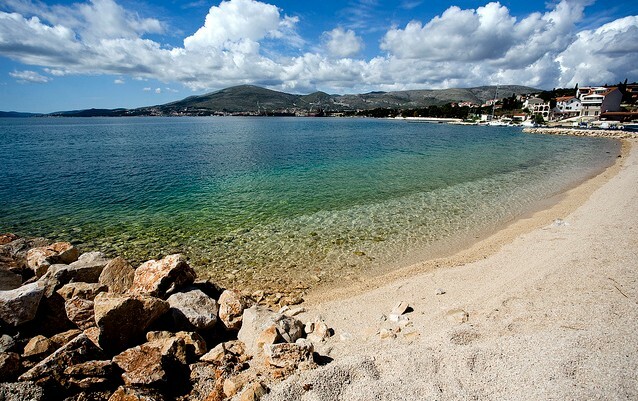 It is ver popular between citizens of Split who come there by boats. 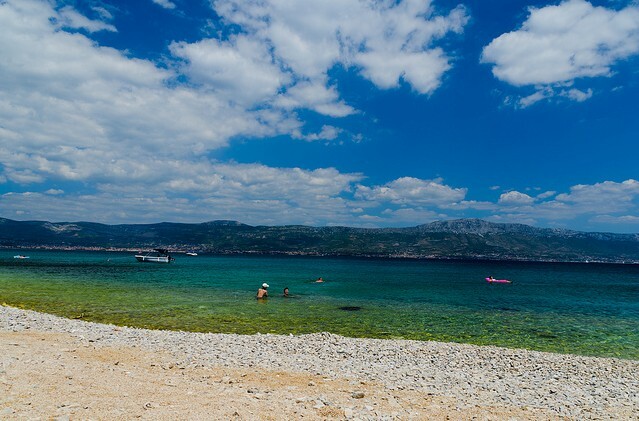 The beach is 12km from Trogir. 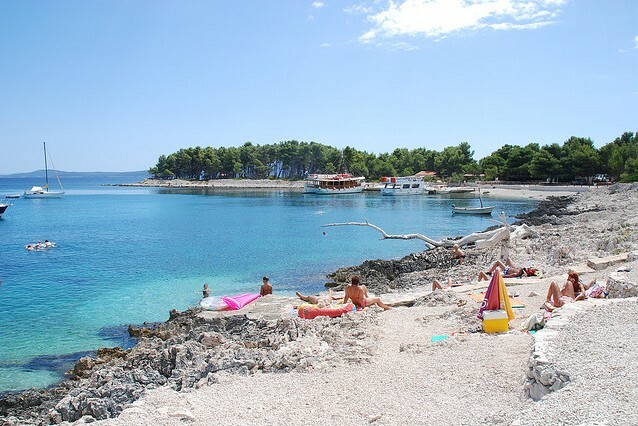 In Mavarstica there is a so called "white beach" with exceptionally crystal clear sea.